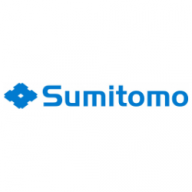 Sumitomo Chemical Europe is a part of the Japan based Sumitomo Group founded in 1913 to manufacture fertilizers. In the petrochemicals Sumitomo is a leading company in Asia, producing and selling Polyethylene, Polypropylene, Rubbers and engineering plastics. RESINEX is cooperating with Sumitomo Chemical Europe for the sales of their Polyethylene and Polypropylene in some countries in Europe from the first days of the start up of the new Joint Venture Petro Rabigh in Saudi Arabia. This JV between Saudi Aramco and Sumitomo represents an integrated oil refining and petrochemical operation with a total investment of USD 9.8 billion, including the production of Polyethylene (LLDPE C4, HDPE) and Polypropylene (PP Homo- and Copolymer). Petro Rabigh converts ethane gas with its world-scale ethane cracker to 1.3 million tons of C2 / ethylene per year. RESINEX and Sumitomo Chemical Europe have a long term partnership for the sales of SUMITOMO LLDPE C4, HDPE and SUMITOMO Polypropylene for Spain, Portugal and Eastern Europe.